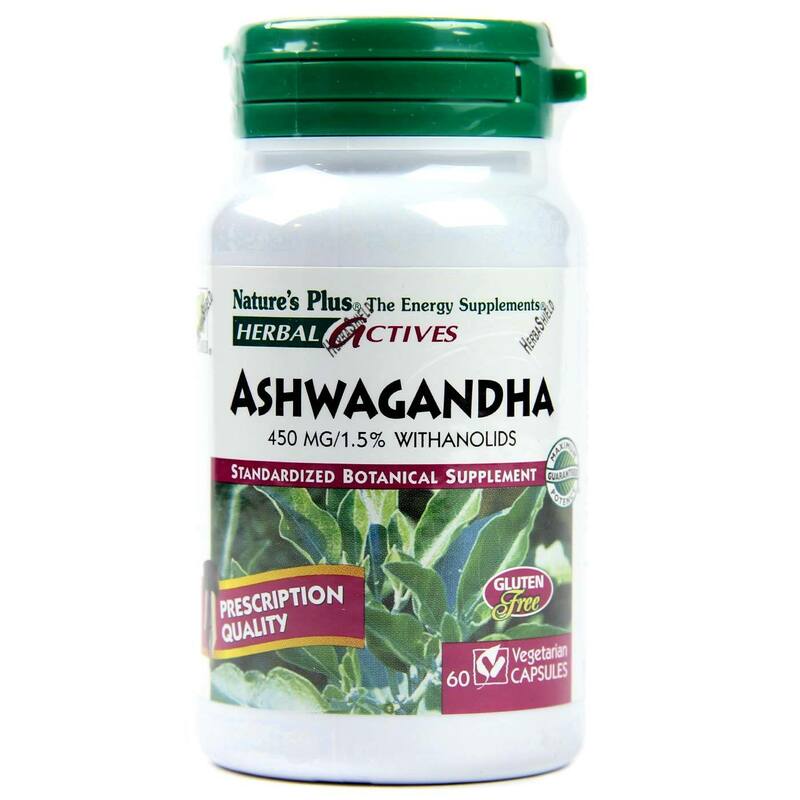 Ashwagandha, also known as Indian Ginseng, is a key component of Ayurveda, the ancient Indian system of health and well-being. Nature's Plus Herbal Actives Ashwagandha root extract is uniformly standardized to a minimum of 1.5% (6.75 mg) withanolids to guarantee that each and every capsule provides consistent potency and activity. 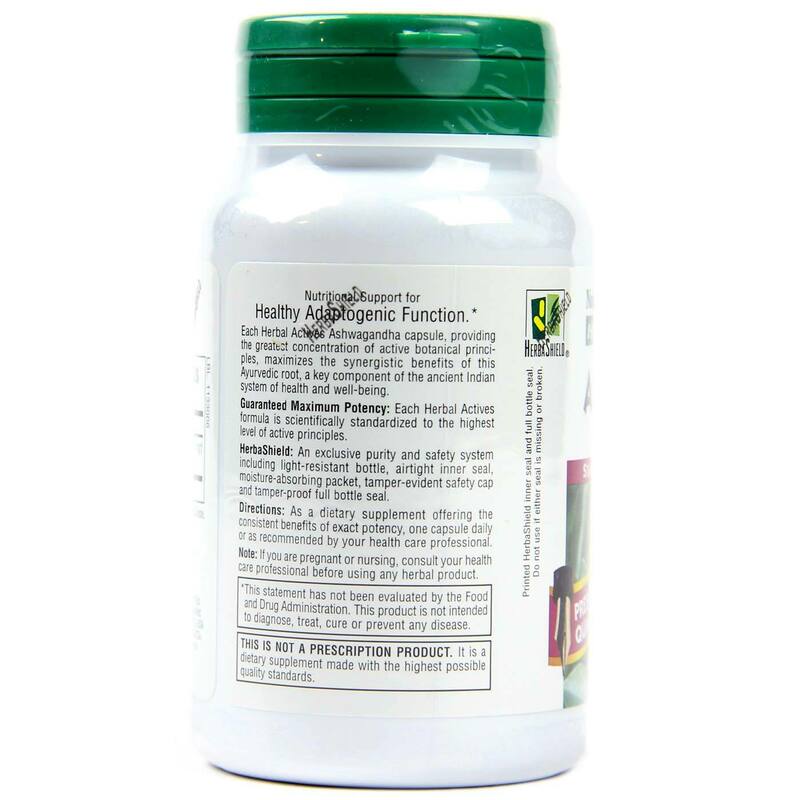 Each capsule, providing the greatest concentration of active botanical principles, maximizes the synergistic benefits of this Ayurvedic root. 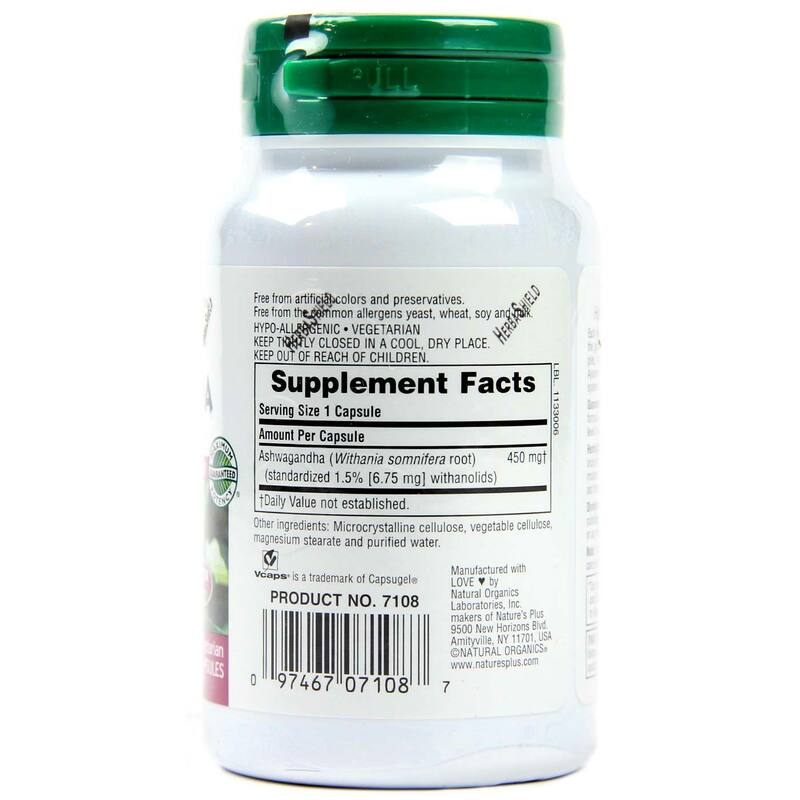 Recommended Use: As a dietary supplement offering the consistent benefits of exact potency, one capsule daily or as recommended by your health care professional.